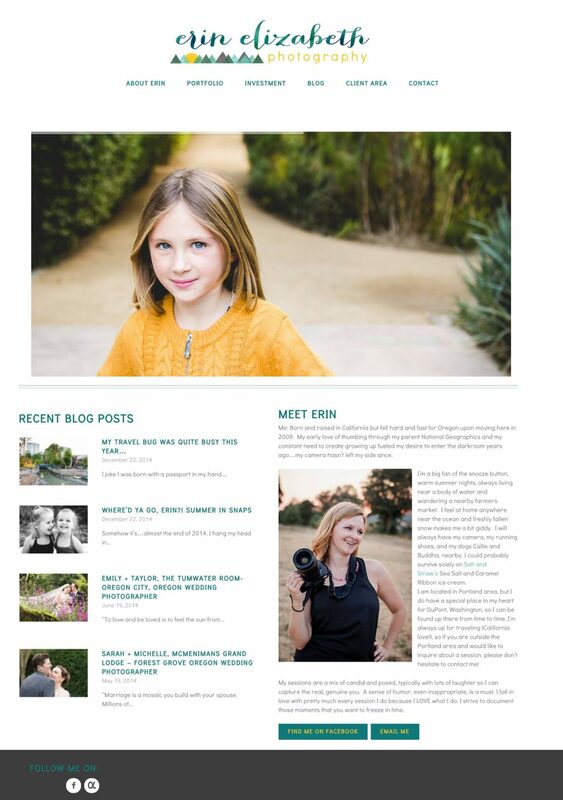 Erin’s site was a customization of one of our premade wordpress themes. She came to me with her own logo, branding and wanted a site to match. We rearrange the logo and menu positioning, made some color changes, filled in the content and she was on her way!